According to the Canadian Encyclopedia, the land that would one day become Africville was originally granted in 1761 to several white families, including the families of some who had profited from slavery. Years later, in January of 1848, William Brown and William Arnold, both Black settlers, bought parcels of that land, and other families soon followed. A unique African Nova Scotian community was born, but even though it was located within Halifax city boundaries, it would always be considered separate and underdeveloped by city officials. 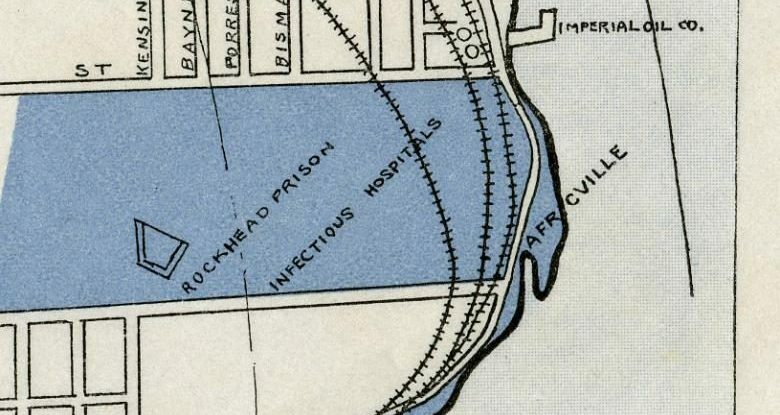 Residents of Africville paid taxes, but were largely denied many of the services common in the rest of the city, including sewage disposal, police services, and even safe drinking water. In the 1960s, City Council began the process of “urban renewal” which resulted in the expropriation of Africville land, the demolition of homes and community buildings, and the relocation of former residents. The land would eventually be used for ramps leading to the new MacKay Bridge and the building of the Fairview Container Terminal. In 2010, the Mayor of Halifax Regional Municipality, Peter Kelly, issued an apology for the actions that led to the destruction of the Africville community. The websites for the Canadian Museum for Human Rights, as well as the Canadian Encyclopedia both provide well-written entries on the community’s history. The Africville Museum website is a project of the Africville Heritage Trust, a non-profit group that was established in 2010 to manage the museum, and the Africville Interpretive Center. There are links to useful resources under the “Education and Resources” tab. The Local History Room at Halifax Central Library has Information Files which contain newspaper clippings from local newspapers since the 1950s.Under the file heading “Halifax, N.S.-Redevelopment-Africville” you will find articles and other materials relating to Africville that provide a chronological overview of the destruction of the community, and the efforts of the former residents to keep the memory of Africville alive. Central Library’s collection of Halifax City Directories can be used to search for former residents of the community. Not every property had a civic number, but several did. If you are looking for a particular person, the directories can be searched by surname and also by street address. Many of the resources in Central Library’s Local History Room have been indexed by an in-house tool called “Procite." If you are researching Africville (or other topics of local interest), you can ask a staff person to search the database, and they will be able to retrieve other books and magazine articles about Africville. There are several books in the Library’s collection that provide fantastic and in-depth information about Africville’s history. Recommended reads on the history of Africville. One of the most interesting resources on Africville, this book features multiple contributors as well as many fantastic pictures of the community. Using recordings and testimonies from the people who lived there, author Charles Saunders constructs a tour of Africville describing the community, and the people who lived in it. Originally published in 1974, Donald Clairmont and Dennis William Magill’s Africville: The Life and Death of a Canadian Black Community, explores the social injustices that affected the community through its entire history and also provides statistical information about the residents. If you are looking for more biographical information, then Jon Tattrie’s “The Hermit of Africville: The Life of Eddie Carvery” is a good choice. Shortly after the last bulldozers finished their work in Africville, Eddie Carvery returned and lived on the land in protest of his community’s destruction. A thorough discussion of the effects of environmental racism can be found in Jennifer J. Nelson’s Razing Africville: A Geography of Racism. The book offers a critical view of the function of racism in society and how it was used to create conditions which would eventually lead to a community’s destruction. Of course, there’s so much more on the history and celebration of Africville including music, filmed documentaries, children’s books, and works of fiction. Explore the rich history of this unique African Nova Scotian community and its struggle to survive systematic neglect and racism.